One of the greatest love stories of all time, Pride & Prejudice, comes to the screen in a glorious new adaptation starring Keira Knightley. When Elizabeth Bennett (Knightley) meets the handsome Mr. Darcy (Matthew MacFadyen), she believes he is the last man on earth she could ever marry. But as their lives become intertwined in an unexpected adventure, she finds herself captivated by the very person she swore to loathe for all eternity. Based on the beloved masterpiece by Jane Austen, it is the classic tale of love and misunderstanding that sparkles with romance, wit and emotional force. Critics are calling it "Exhilarating. A joy from start to finish" - Carina Chocano, Los Angeles Times. Literary adaptations just don't get any better than director Joe Wright's 2005 version of Jane Austen's Pride & Prejudice. The key word here is adaptation, because Wright and gifted screenwriter Deborah Moggach have taken liberties with Austen's classic novel that purists may find objectionable, but in this exquisite film their artistic decisions are entirely justified and exceptionally well executed. 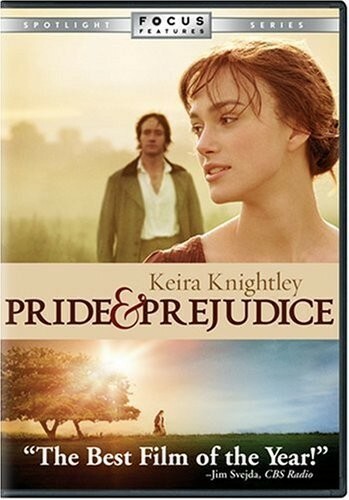 It's a more rural England that we see here, circa 1790 (as opposed to Austen's early 19th century), in which Elizabeth Bennet (Keira Knightley) is one of several sisters primed for marriage, with an anxious mother (Brenda Blethyn) only too desperate to see her daughters paired off with the finest, richest husbands available.